A light spinning rig with 10-20 lb test line is the top choice for the Mangrove Snapper. When fishing the piers and inshore they are usually on the small side and they get larger as you move offshore. You will find that learning how to catch mangrove snapper isn’t that difficult. 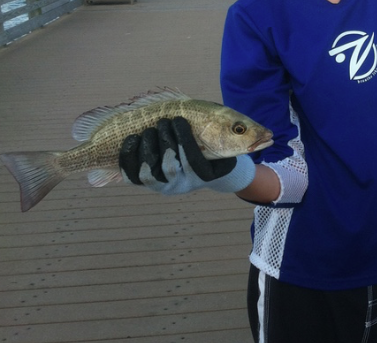 Inshore, the fish is around 10 to 14 inches long and weigh no more than a pound. Offshore you’re going to find some that can weigh up to 20 lbs. Mangrove snappers are usually found in inlets, piers at the beach and also inshore structures. While the fish is fairly easy to target, it’s going to put up a fight when caught so there’s going to be a challenge for first time anglers. If you’re fishing inshore you can use just about any inshore fishing gear since they don’t extend beyond 14”. The most popular combination for rod and reel is a medium light action rod and a light spinning reel. For first time anglers looking for a good inshore catch, a 12-14 lb. fluorocarbon leader and a 10 lb. braided line is going to do just fine. What are the Best Lures? When mangrove snapper fishing you’ll find that most types of artificial lures can work. Among the most widely used are finger mullet imitation lures, mud minnow, soft plastic jerk bait, soft plastic shrimp, curl tail grubs and Berkeley gulp shrimp. Bear in mind though that snappers aren’t as easily drawn to these lures like other fish. Snapper are known for their keen eyesight, so you should use light leaders and small hooks. The most widely used are glass beads, small barrel swivel, 12 – 14 lb. fluorocarbon leader, a small circle hook (#2-1/0) and an egg sinker that’s heavy enough to go down the depth you desire. You can also take advantage of the fact that mangrove snapper are hungry predators and will go after many types of live bait. Mud minnows are the best live bait for inshore snapper. Aside from having a long lifespan, mud minnows are durable, and you’ll be hard pressed to find a mangrove snapper that won’t go after it. If you don’t have mud minnow you can try small crabs, small pinfish, green back sardines, small finger mullet or live shrimp, all of which make for good mangrove snapper bait. The majority of mangrove snapper can be found near structures like bridges, docks, piers and shorelines. If there’s a current and structure, chances are you’re going to find a good number of mangrove snapper there. If you look carefully you’ll see them in the shadows, waiting for their prey. One particularly good place to look are jetties close to inlets. These areas usually have the highest amount of inshore snapper and have schools of this fish all over. First you have to find an area where the fish are, and cast your bait a few feet from the structure where the snapper are. Let the current move your bait slowly near the structure. Let it stay there until a fish is caught. 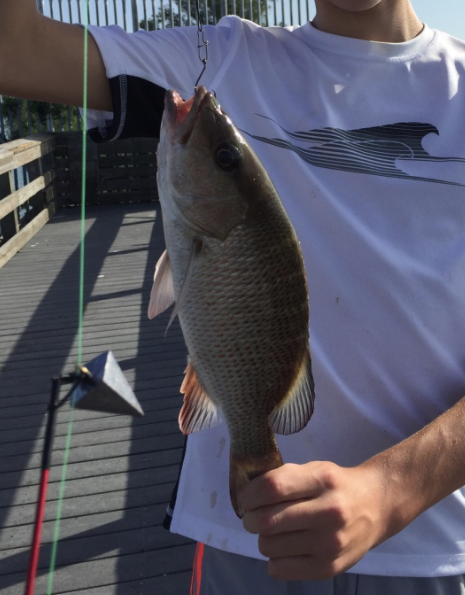 Keep in mind that some of the mangrove snappers are very aggressive; they will immediately bite the bait and your rod will bend. But there are also more subtle snappers that they barely make contact with the bait. If the mangrove snapper is biting too softly you should use a lighter weight and smaller hook, as this will encourage the snapper to try and swallow the bait. At the same time, this provides greater sensitivity so you’ll know if the fish has bit. Before you go fishing for mangrove snapper make sure to review local laws in the area. For instance, most areas require the use of circle hooks when fishing for reef fish like snapper. Also, don’t set these hooks in the traditional manner: if you detect a bite, just reel it any slack until you feel the pressure. Slowly raise the rod up and reel the fish in slowly and steadily. Find a structure where the fish are and cast on the up current. Work the cast past the structure 4 to 5 times and you should be able to land a fish. If you don’t get any after five tries it’s time to move to another structure. If you catch one fish, keep casting in that area since mangrove snapper move around in schools. If at all possible, use mud minnows as bait because they’re the most effective. Second, try fishing near structures that are close to deep water because that’s more likely to hold schools of fish. Also keep in mind that these fish can be found all along the water column and not only the bottom. You can find mangrove snapper from Massachusetts all the way down to Brazil, and if you’re in Florida you can found them just about everywhere. Aside from the locations mentioned you will also find them in offshore reefs and mangrove lined rivers. Inshore mangrove snapper can also be found in mangrove tree overhangs, wrecks and rock piles. Once you’ve found a good location, keep the following in mind. First, hook your live bait via the lips, and if it’s a shrimp, hook it behind their eyes. Lower your bait at your target’s up current and the current will draw your bait close to the fish. If you don’t get anything within 10 minutes, pull up your line and check if the bait is still there. If there’s no current in the water, just cast close to where your target will be, but not too near because you might scare the fish. Don’t make any sudden movements when you fish and just be patient. If you use the best bait for mangrove snapper like mud minnows, expect to get a bite soon. The tendency of these snappers is to bite aggressively and quickly go for cover, so the moment you sense a bite, pull up the rod tip and reel in. The fish is going to be quite aggressive and fight back, but because they’re small it should not be a cause for worry.